Some people in Goa see stray dogs as a menace while others tend to go out of their way to make life better for these shelterless creatures. The battle between the two sets of people ensues, with the former accusing the latter of encouraging the breeding of more strays, and the latter confronting the former with accusations of callousness. Totally turning a blind eye to the starving creatures would be cruelty, but we have to be responsible in our approach towards stray dogs. Dumping of food waste in areas accessible to these animals causes problems for people passing by as they may be bitten by a dog that feels threatened. This indiscriminate discarding of food waste has contributed in a large way to the proliferation of strays. Chicken waste, for example, is extremely rich in protein. A female dog eating this waste can give birth to more and healthier puppies. Another reason for the continuous increase in this population is the irresponsible behaviour of pet owners who refuse to sterilise the animals owing to their tightfistedness or their lack of concern. These are the same individuals who have no qualms about abandoning pets if they do not feel the need of them anymore. Some pet owners are not just negligent when it comes to neutering or spaying the dogs, they do not vaccinate them either. 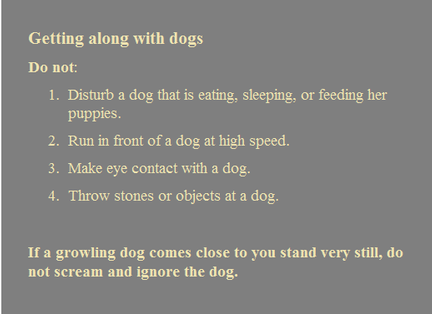 So apart from having to put up with the danger of facing rabid strays, we cannot be sure of pet dogs either. Rabies is still a big problem in Goa and the Worldwide Veterinary Service that has taken over John Hick’s International Animal Rescue Centre, Assagao, is striving to curb the incidence of rabies and the increase in the stray dog population. What is important to note here is that sterilisation has been made free of cost at what is now known as Hick’s International Training Centre, and you can call the organisation to collect the dogs for sterilisation as well as vaccination. Due to the intensive Mission Rabies vaccination drive in Margao in the last year, there have been no cases in the last two years. Fewer people have been attacked by rabid dogs overall for the last one year. People should realise how their inconsiderate actions affect the rest of society. The right information needs to be imparted regarding the behaviour of dogs so that individuals do not find themselves in an untoward situation. Children should be taught at a young age and sensitised to create a love for dogs. Organisations across Goa other than Worldwide Veterinary Service have been doing their bit in creating awareness about rabies, holding adoption camps and sterilisation and vaccination runs. Goa GPRS (Gomantak Pashu Rakshak Sanstha) and GAWT (Goa Animal Welfare Trust) are two of them. Some of these groups accept a payment as it helps them out with the work they do. Aside from registered NGOs, we have kind people who have taken it upon themselves to make a difference. John and Lata Rodrigues of Socorro, Porvorim, have adopted seven such dogs. Four live in the compound of the house and three outside but they all have the freedom to move in and out as the gate is left open for them. Lata cooks meals for the dogs and even appoints a stand in to feed them if the family goes away for a holiday. They have paid for each of the dogs to be vaccinated and sterilised with a majority of them being female. The dogs have interesting names, some christened by neighbours and others by the Rodrigueses’ son Ankit. 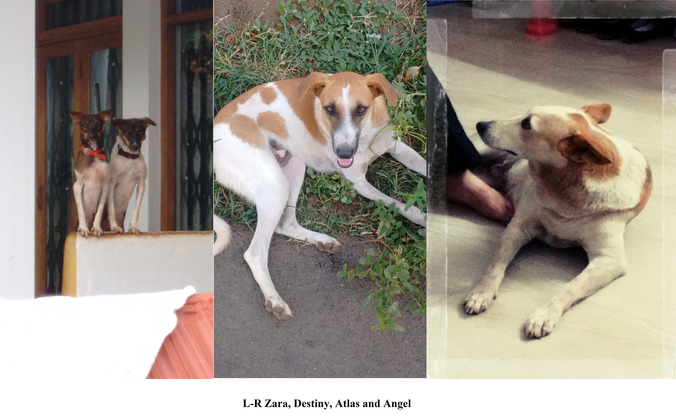 Angel, Chinnu, Ammu (AKA Mama Doggie), Atlas, Zara, Destiny, and the newest addition Raina (who turned up at their doorstep one rainy day) make an interesting combination of doggie characters. John and Lata, besides being animal lovers, see the dogs as a good security system. They keep other strays away from the territory too and hence prevent and increase in dog numbers in that area. Apart from encouraging people to adopt local strays instead of fancy pedigrees that are not bred for the Goan climate and suffer as a result of the heat, there should be a move to reintroduce the registration of dogs. This should be done following the Mumbai system of having registration cards that have stickers validating the vaccination and/or sterilisation of the dogs. Municipality officers should be appointed to keep a check on the progress in vaccination and sterilisation. There will still be naysayers despite all the efforts of charitable people to spread information and establish a peaceful coexistence between man and stray dog. It is best to ignore them. In time they may develop a more informed conscience and make the decision to do the right thing. Until then let us do what is best for all and do our bit in spreading awareness, informing the concerned organisations to sterilise or vaccinate dogs, responsibly feed them and thus maintain a balance that benefits both man and animal. *This article is based on a Friday Balcao meeting and discussion.